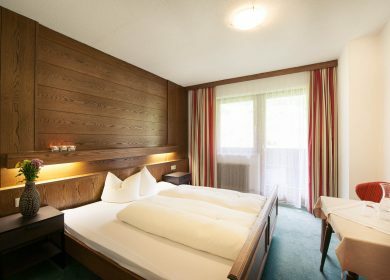 Our double room is equipped with a bath or shower / toilet, telephone, radio, SAT-TV, balcony and WLAN, with a guaranteed view of the beautiful Stubai mountains. Our family room is equipped with a bath or shower / toilet, telephone, radio, SAT-TV, balcony and WLAN. Its green surroundings guarantee maximum relaxation. No extra charge for single rooms. The price is the same as our ``Kesselspitze`` category. 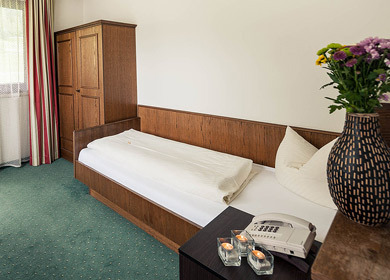 For an extra € 20.- per day, we can offer you our ``Edelweiss`` double room for single use. 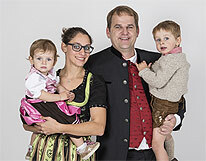 We look forward to welcoming you at our hotel in Neustift in the Stubaital!